Hey everyone! I’m excited to be back with you as we head into the second half of the season. The new set doesn’t bring a ton of immediate change to the format but I’m hoping the few cards that are good will start to move the metagame in the right direction. Now, later this week we’ll get some results from the International in Sydney, but I don’t expect the metagame to change much from what we saw in Memphis. Zoroark decks will probably be the most common decks, but thankfully the Standard format doesn’t contain Sky Field, Hex Maniac, or Ghetsis so it probably won’t be as infested with Zoroark builds as Expanded. Instead, the current Standard format is a breeding ground for decks such as Greninja, Tapu Bulu/Vikavolt, and Wobbuffet stall. Gross. Now, I actually do think this is better than what we have in Expanded, if only for the hope that there are decks that are good enough to beat Zoroark. These decks wouldn’t be nearly as good if Zoroark didn’t make the format so polarized. Luckily, we might be moving away from Zoroark’s reign of terror. Today, I want to mainly look at Glaceon and the impact it could have on Standard. I’ve been brewing a few lists and testing them out on my stream, and even have gotten some good ideas from players I’ve played against. At the end, I’ll briefly mention the other cards in Ultra Prism that I think are worth considering, along with my buylist. Let’s get started. Funny enough, Glaceon is not a card that caught my attention when I first looked at Ultra Prism scans. I guess I didn’t realize how impactful Zoroark was/would be to the game at that time. Thankfully, my friend Isaiah pointed out how good it could be and gave me a list to start with! As I’m told we say in the South, ‘ppreciate you. This card is just the perfect counter to Zoroark-GX. It feels almost as an apology from Pokémon for printing Zoroark in the first place. Glaceon can even hit the battlefield on T1 through Eevee’s Energy Evolution to let you close out a game before it begins. Not only does it stop the oppressive Trade ability, but it preys on the Zoroark deck’s reliance on Tapu Lele for Brigette early game and other supporters in the late game. The impact that Glaceon could have on Standard can only be overshadowed by the impact that it looks poised to make on Expanded. Decks play less Supporters than ever and rely on Tapu Lele and Zoroark for draw and access to those few Supporters. I could even see decks like Trevenant and Archie’s Blastoise adapting to find their Supporters more often under Glaceon if it becomes popular. Maybe this will be the change that Expanded needs. The threat of Glaceon could even be enough to make an impact, just like Heatmor DEX did when Durant was still a popular deck. Now, the unfortunate part of all of this is that one of the best partners for Glaceon is, in fact, Zoroark. I like this partnership to give you the disruption you need to stay ahead of the game, and also to give you a second “mode” against decks that don’t rely as much on GXs. Glaceon is a surprisingly strong attacker so you have the ability to go aggro with both of your main Pokémon. This list is really pretty similar to the Golisopod/Zoroark and Lycanroc/Zoroark ideas that have been dominating Standard recently. At the core, this is just an aggro deck that puts just enough effort into beating (some of the) other aggro decks in the format. I’ve considered playing more energy denial in this list but it’s been pointed out that Sylveon is probably just the better control deck in that sort. Glaceon seems better suited to slowing down the opponent just enough to outpace them. Unlike other Zoroark decks, though, this one plays a smaller Zoroark line and focuses heavily on getting an Eevee into the active spot ASAP. I could even see adding a 4th copy of Float Stone; it’s that important to get Glaceon online before your opponent can fire off a Tapu Lele. The only inclusion I’m really considering is Rescue Stretcher, or maybe a Super Rod. After playing a few games with this deck, I’ve found that you often run out of Pokémon, especially if you prize a Glaceon or a Zoroark. The cut would probably have to be one of the disruption cards, unless you want to skimp on consistency. I’m unsure of the right balance of disruption and consistency in this deck so that’ll be something I consider as I keep testing this list out. I’m not sure that this list is the most competitive of concepts but it’s definitely fun. Instead of using energy denial to gain or keep your advantage, you use the Red Card + Delinquent + Tormenting Spray combo to leave them without a Supporter. Even better, the addition of Glaceon means they can’t use Ultra Ball or Lele to grab a Supporter, so you should just completely lock them out of the game. From there, just clear their board of energy and you’ll eventually win the game. And just like the other Glaceon/Zoroark variant, you don’t really rely on the combo because you can hit hard and slow your opponents down just enough. I like this version because it gives you an out to win any matchup, even some really bad ones like Greninja and Tapu Bulu. You could even add something like Counter Catcher to KO an Octillery or Starmie when you need to complete the lock. However, this further illustrates the problem with the deck: the amount of cards you need at one time to complete the combo. Even with a few Trades, it’s hard to get 4+ specific cards in your hand at a time. I like putting one copy of each of the relevant cards in my discard so a double Puzzle can grab me the necessary pieces I’m missing. You don’t really need them for anything else once I’ve depleted my opponent’s hand so it’s not even a waste. Thankfully, this deck is probably too fragile and exploitable to be a major player in the format. While I enjoy pulling this combo off, I don’t want this to be so good that it decides tournaments. Maybe that’s a sign of a well designed format that a lock deck like this isn’t even that oppressive. In testing these Glaceon lists on PTCGO, I found a deck similar to my own version that you see above. I quickly saw that this Oranguru-focused list would shine in the Glaceon mirror match, and allowed for space to be better dedicated to a more consistent lock. As I mentioned before, Sylveon might be the better control deck but this is probably a bit less fragile due to the draw engine. This list is much more experimental and probably has some kinks to iron out. I’m curious as to how good Ultra Ball actually is. I included it to use with Oranguru’s ability to continue to refresh your hand when you can Instruct multiple times each turn, as well as to combo with Aqua Patch. If it stays in the list, I’m somewhat considering a Lele or two as ways to find a key Team Flare Grunt or Acerola when you really need it. The Supporter line is very strange and probably the first time I’m not playing Sycamore in a deck in a long time. However, I think it’s better to conserve your resources in a deck like this. That same line of thinking led me to Lillie and it’s been really nice with the high count of Float Stone to really guarantee the T1 Glaceon, plus a nice setup no matter what my opponent’s next turn brings. The rest of the Supporter line is probably spread a bit thin. I’m used to having Zoroark + Puzzle to reuse any 1 or 2 of Supporter counts, so I might have to drop the Acerola to beef up the Guzma and Team Flare Grunt counts. This list still has the same weaknesses as the Glaceon/Zoroark deck, but it should capitalize more on its strengths. For me, I’m more excited that there are so many possible ways to play Glaceon, and the best one might still be out there. I’ve been pretty vocal about my dislike for Zoroark in the game, so hopefully Glaceon will help to close the door on that chapter of Pokémon. Only time will tell. As I’ve said before, this set is unfortunately rather sparse in terms of impactful cards for Standard. However, there are still some interesting cards, and I think we’ll really see them make an impact after a rotation or maybe with the addition of new combo pieces in upcoming sets. Cynthia is easily the best card in the set, giving us a much needed 3rd draw Supporter in the format. Now, decks like Zoroark that go out to an early lead don’t have to play as many copies of N just to have a draw Supporter that doesn’t discard their hand. Also, decks that don’t play as much Pokémon or Item based draw have enough Supporters to fill out a nice lineup without using Lillie or other inferior options. This addition to the format even makes Greninja look somewhat appealing, something I’ve completely sworn off of, so I can’t overstate the impact of Cynthia. The Metal cards are the next most interesting, and should have an impact on Standard in some way. Solgaleo Prism Star and Dusk Mane Necrozma-GX are great attackers, and Mt. Coronet and Magnezone provide a ton of good support. We could even have a Max Elixir version of “metal good stuff” see success, similar to the deck that some American players piloted in London, but it now has better sweepers and mid-late game energy acceleration. 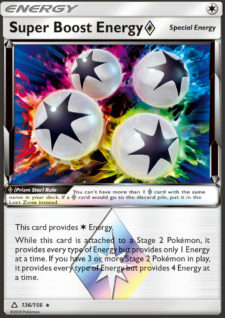 Darkrai, Cyrus, and Super Boost Energy are the other Prism Star cards that I expect to be impactful, with Lunala getting an honorable mention. Darkrai has been featured in a Standard Turbo Dark list on Azul’s stream recently, but I think it’ll really shine if Turbo Dark can stay relevant in Expanded. 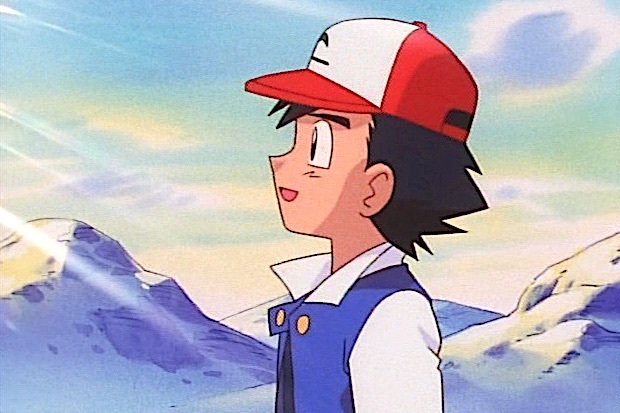 Cyrus was really hyped early on but hasn’t impressed me since you don’t get to pick your opponent’s Benched Pokémon for them to keep. Maybe it’ll be good against Zoroark in conjunction with Garbodor BKP. 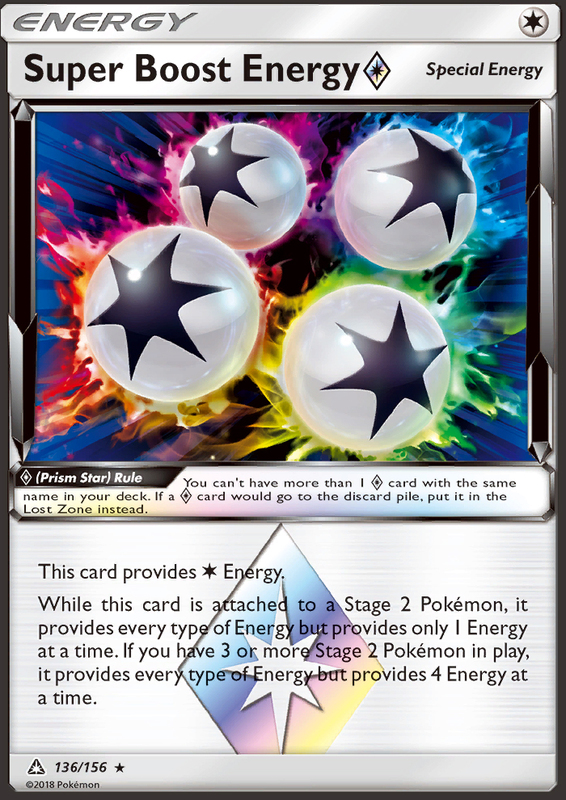 Super Boost Energy originally seemed good to add in Gardvoir, but it’s probably just a win more card there. 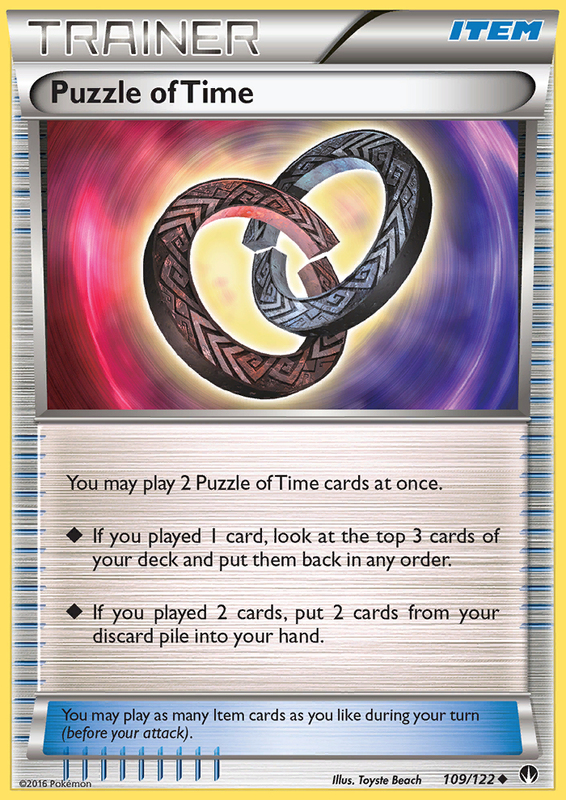 Still, the ability to get 4 Rainbow Energy attached in a pinch has never been done in Pokémon, and far inferior cards like Double Rainbow, Scramble, and Boost Energy have seen significant success, so I’d be surprised to see this card not be played. And Lunala is a cool energy accelerator. Not sure if there are good Pokémon to power up now, but there will be at some point. Maybe we’ll have a new age of Psychic dominance with it and the Malamar from the next set (Eelektrik NVI for Psychic Energy). And honestly, that’s about it. 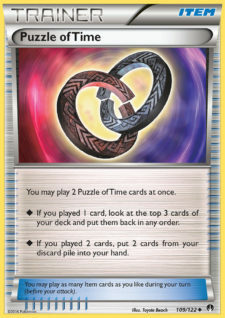 The Electric and Fire Memory cards could help Silvally find its way out of relative obscurity, the Unit Energy cards could allow for some cool toolbox decks to be played, Escape Board might be played in some decks in place of Float Stone (and also make concepts like Shock Lock somewhat worse), and Dawn Wings Necrozma-GX is a Keldeo-EX replacement of sorts. Dialga-GX could be splashed into Metal concepts for the ability to take a second turn and steal a game, and I expect the new Passimian to be featured in any Passimian deck. You could try to brew something up with Garchomp/Lucario, Leafeon-GX, Luxray (well, Luxio is the good one), Weavile, or Dugtrio, but I’m not sure any of these ideas are that great. I’ve played against Garchomp, and played with Dugtrio, and neither excite me too much. While they’re some of the best decks you can make with these new cards, they just don’t stack up to the other decks in Standard right now. However, I’m happy to be proven wrong and it happens rather often. If you see some potential with a card that I’m not very excited about, give it a try! You never know what could come out of your crazy brew. Ross Cawthon has almost won Worlds with 2 or 3 of his! Before we move on, I’ll share my Dugtrio list that I’ve been passively working on. I’m unsure if Octillery or Starmie is the best supporting Pokémon, but I like Octillery as it gives you a higher ceiling for energy of an N to 1 or 2. With 2 Starmie down, you could discard both cards and get 2 energy, plus a Mt. Coronet to get 2 more. With Octillery, you can draw into a Retrieval, Letter, Energy, Choice Band, Mt. Coronet, and even Fisherman. Maybe it’s a bit riskier, but it also smooths out your draws in the mid game. Is Pal Pad worth the spot? It helps to reuse Sycamore and Guzma/Fisherman when/if I run out but maybe I just want more energy. Dhelmise is very good. Hitting for 190 and 160 is important against Metal decks and Buzzwole as well. Choice Band has saved me several times, and I could see cutting an Energy or the Pal Pad for another. It’s hard to strike the right balance between Professor’s Letter and Energy Retrieval. I originally just had 4 Retrievals but noticed I ended most games with 4+ Energy in the deck. Ideally, you have less at the end, or none, so I want to draw more out of the deck when I can. Parallel City is a problem. I could see adding another Mt. Coronet just to counter this, not because you really need another one to retrieve Energy. This is also the reason I like the Stadium discarding Remoraid. Lastly, I’ll leave you all with my buylist from this set. Some of my buddies asked me for one so I put together a fairly comprehensive one and think it’s worth sharing. There are 3 “tiers” to the list: the must haves, the interesting cards, and the stuff that’s just good enough not to bulk. Don’t be dismayed if your favorite card isn’t in a high tier, I just need to be convinced of it’s viability! If you have any questions as to why a card is/isn’t on my buylist, or why it’s in a certain tier, shoot me a Tweet, Message, or comment and I’d be happy to talk about it! There’s a bright future ahead! That’s it for today. I hope you’re excited about the future of the game! A new set, even one as lackluster as this one, always inspires me to get out and brew up some new ideas. In today’s day and age where decks are circulated and perfected so quickly, it feels like the formats get very stale so I always welcome new additions to the cardpool. I’ll be in Collinsville and Costa Mesa in the coming weeks, and I hope to see some of you all there. Good luck at your upcoming Internationals/Regionals/League Cups, there’s still plenty of time to get CP this year!